Experience a lively mixture of French and Afro-Caribbean culture on your Guadeloupe vacation. The archipelago consists of two main islands connected by bridges spanning a mangrove swamp, and a number of smaller islands to the south. 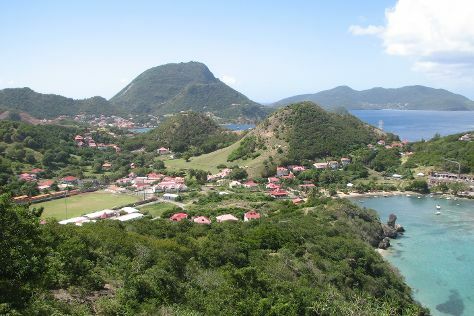 The island of Grande Terre is mostly flat and arid, offering numerous scenic beaches and lively small towns, while Basse Terre features verdant jungles and mountainous terrain, crowned by a tall volcano. On a tour of Guadeloupe, you can enjoy a variety of beach activities, partake in hiking through a national park, and bask in the vibrant atmosphere of charming towns and villages. Guadeloupe is in Caribbean. With the Inspirock Guadeloupe trip planner, Guadeloupe and other destinations across the globe can be made central to your personalized travel plans.